Barbie and The Secret Door Prince Doll Only $6.59 + FREE Prime Shipping (Reg. $11)! You are here: Home / Great Deals / Amazon Deals / Barbie and The Secret Door Prince Doll Only $6.59 + FREE Prime Shipping (Reg. $11)! What a great price for Ken doll, especially this one! 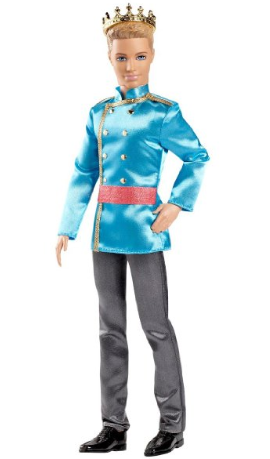 Right now you can snag this Barbie and The Secret Door Prince Doll for only $6.59 (Reg. $11)! This is slotted to arrive before Christmas!